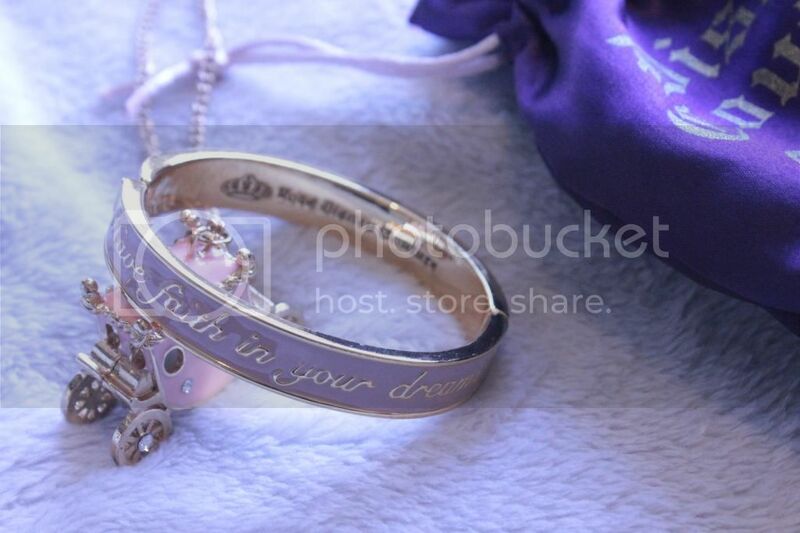 Disney Couture - Have faith in your dreams. Now, we can all be honest here, we're all Disney fans am I right? Well at least I hope you are or you're quickly going to get bored of today's post. If you anything like me then the smallest disney product and merchanise makes me crazy? -obviously in the best way -. Right, so I fall in love with anything Disney related practically straight away and almost every time I MUST get my hands on it and this bracelet has been that for a while now. I found this on my FAVOURITE UK site for disney and other tv & film merchanise...I welcome you to TRUFFLE SHUFFLE, if you havent seen the site, just click the link right now, and you can thank me later! 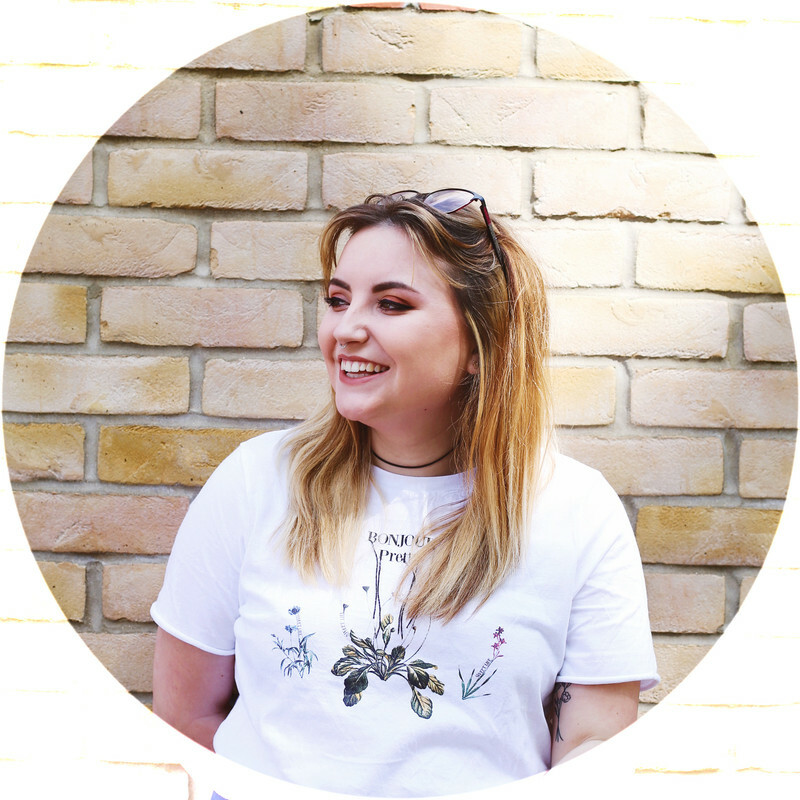 Clothing, Jewellery, Accessories and the cutest little bits and pieces from all of the best tv shows and films, just like disney, harry potter, doctor who and so many memorable films. This was given to me as a gift by my Granddad for Christmas this one just gone and I don't have an appropriate reason why it's taken this long to share, so I'm sorry about that. This beautiful bracelet, is the sturdiest item of jewellery I own. With an easy to attach -yourself- kind of clasp. Which is unbelievably handy for us girls who're alone or in rush, no more struggle. I'm absolutely in love with the colour contrast of the gold plated font and edges with the beautiful baby pink. And let's be honest, with the colours and all the things, it's completed with the perfect Cinderella quote. 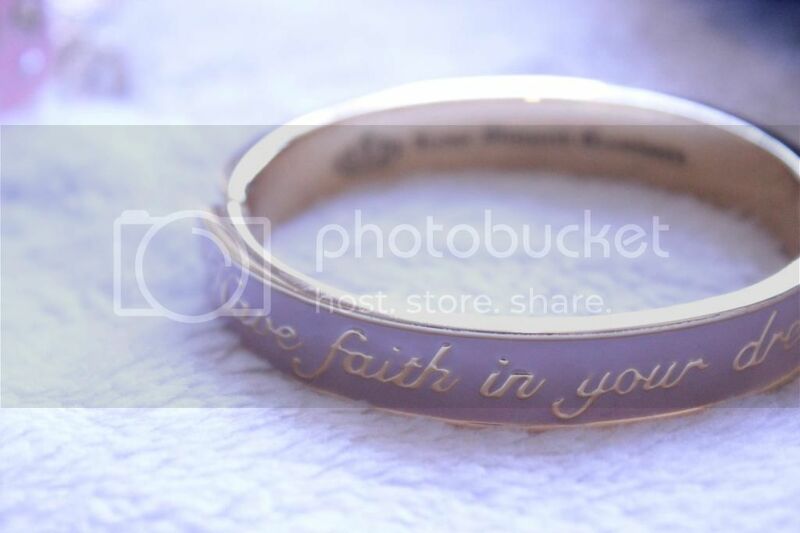 'Have Faith In Your Dreams' which comes perfectly from the song A Dream Is A Wish Your Heart Makes. Quotes like this always keep me smiling, a little reminder about the dreams I have and fingers crossed ill someday achieve. 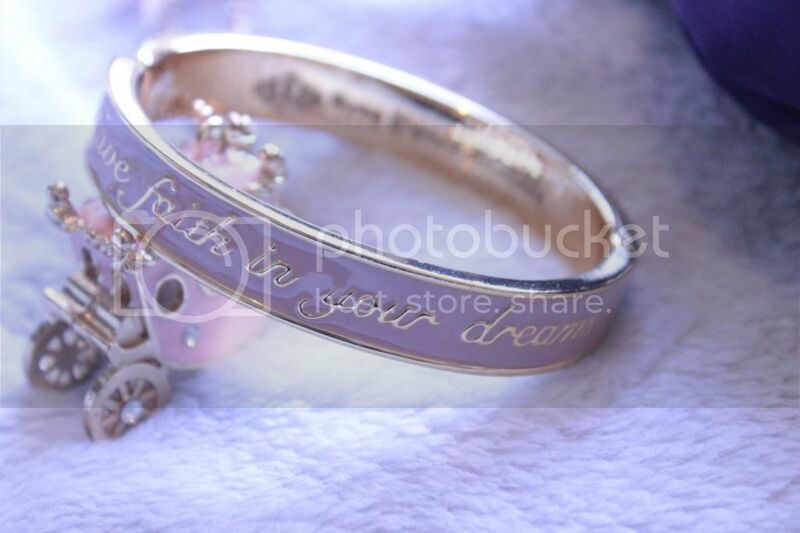 Sharing this bracelet comes appropriately before the release of the action version of Cinderella...strangely coincidental, which I didn't even realise until I wrote the post. 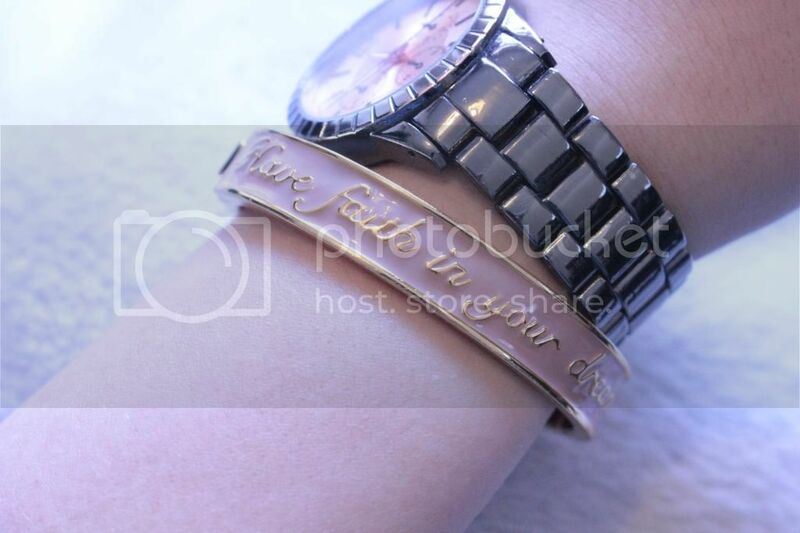 While I'm totally fixated with the beautiful colour of this bracelet, it's available in other colours too...and I'm sure with a few other quotes too! The other beautiful products in the Disney Couture range, I'll always have these in my wish list and will probably be asking for a few for my birthday next week!? Have you purchased from truffle shuffle before? What's your favourite item online? Which is your favourite tv show / film merchandise that the site sells? 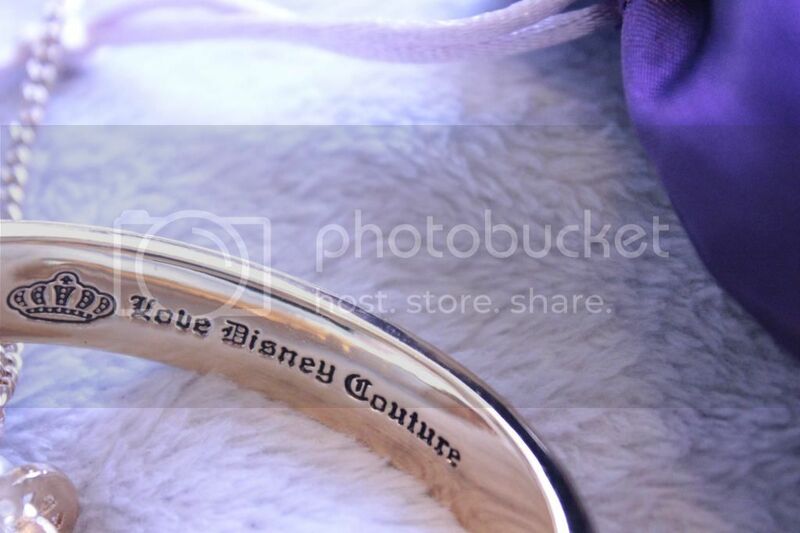 I love the Disney Couture line, I have a necklace of the Disney Castle I was gifted years ago and still treasure it! This post reminds me I should really get it out and wear it again, I haven't in a while and it's too pretty to just live in it's little silk bag! I haven't looked into the line for a while, I might just have to go see what's new! 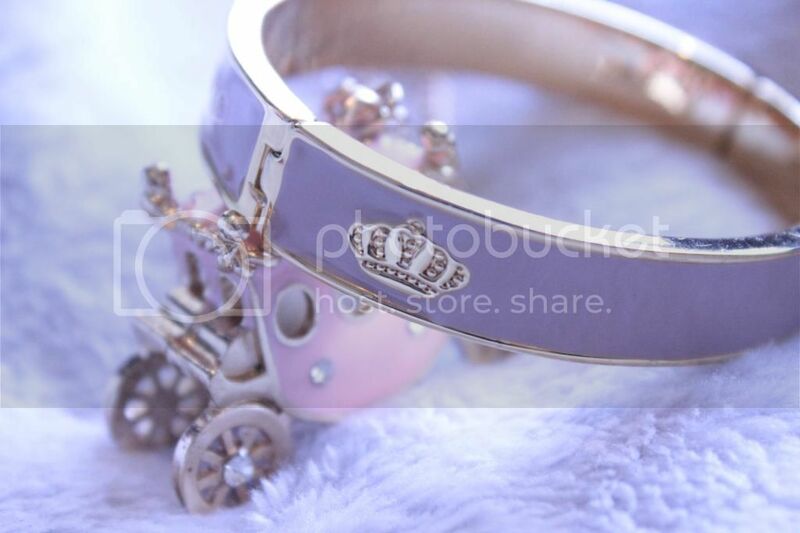 This bracelet is beautiful. I love how soft and pretty the colours are. Well done to your granddad for such a perfect gift! Yes, it's the first website I go to when it comes to my boyfriends presents.